In the reef keeping community you often hear the terms soft, LPS and SPS corals. These are terms which are used to indentify different groups of corals. These three general identities of groups of corals can be useful to the hobbyist when shopping for corals because it describes in general what each particular group of corals needs to survive and grow under captive systems. These requirements can range from lighting and placement to flow rates, water parameters, feeding and chemistry. 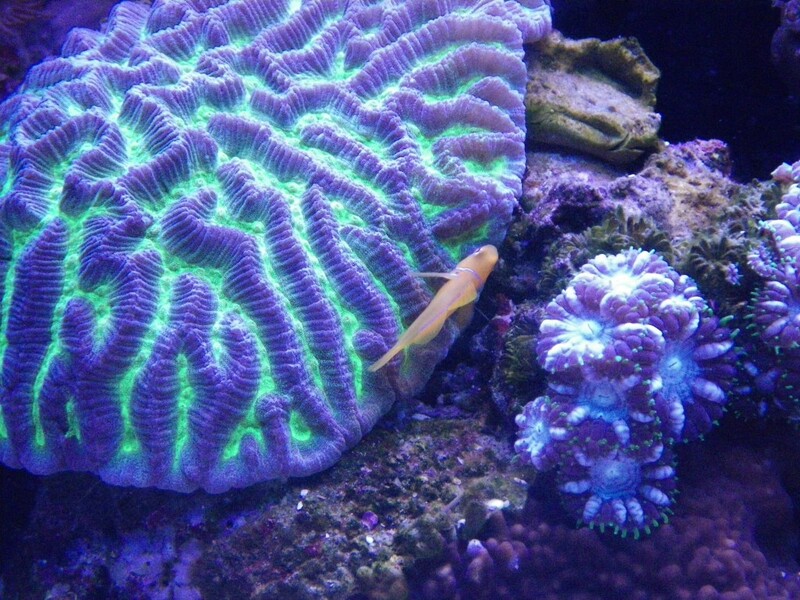 There are three types of corals that reefers keep and the guideline below will give you a good idea of the intensity of light and flow rate each type requires. There are other factors that can come into play here. If light intensity is too high it can impede photosynthesis in some corals. Corals in shallow water can experience this photoinhibition for a few hours a day but no more. These corals are Zooanthids, Mushrooms, and Ricordea, among others. Many corals are also adept at switching their feeding systems depending on conditions present around them. Corals in pristine water with no food source rely heavily on light and not much on capturing organisms as a food source. This form of feeding is called autotrophy or photosynthesis. Corals that capture food are in the hetertrophic mode of feeding or hetertrophy and can get by with less light. All soft corals lack a rigid stony skeleton. 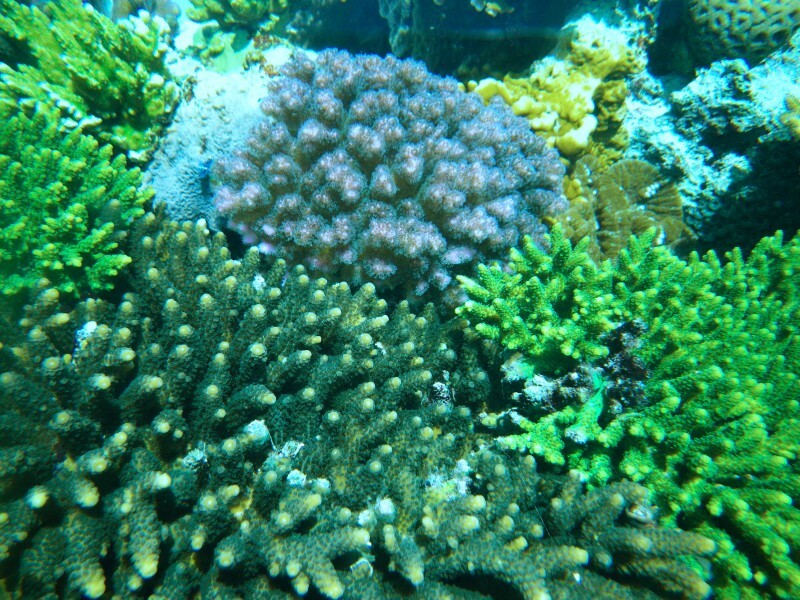 Typically soft corals require lower light intensity and moderate to low water flow. Soft corals are generally found in shallower turbid waters which makes them more forgiving than LPS and SPS corals because pristine water quality and the chemistry required for LPS and SPS corals is not absolutely essential for their growth. A few examples of common soft corals generally kept in the hobby include the Leathers, Zoanthids (colonial anemones and button polyps), Palythoa, Discosoma and Ricordea. Caution should be heeded in keeping Palythoa species. Their mucus coat contains a palytoxin which can be very dangerous to humans if allowed to get into open sores, cracks in the skin or find its way into nasal passages. Inexpensive disposable surgical gloves are recommended when handling these corals. This group consists of corals with large fleshy polyps with a rigid skeleton. This group usually requires moderate to intense light and moderate water flow rates. This is the mid-group as far as care required to maintain healthy and reproductive colonies and is one of the most colorful groups of corals available to the hobbyist. LPS corals that are commonly available include Acanthastrea (Acans), Euphyliids (Elegance, Torch, Hammer), Favia, Fungia, Blastomussa, Dendrophyllia and Tubastrea. Many of the LPS corals will extend sweeper tentacles in the evening and these tentacles are quite powerful in terms of killing nearby cnidarians so care must be taken to ensure they are kept a good distance from each other. The Euphyliids are notorious for this. All SPS corals have a rigid skeleton composed of small polyps and thin flesh surrounding the skeleton and are among the most difficult corals to keep of the above groups. Most if not all corals in this group require pristine water quality, high water flow, intense lighting in the PUR spectral range and well maintained water chemistry. Any abrupt changes in water quality and parameters will cause these corals to react and is a good indication that something is amiss with water parameters and/or chemistry. Common corals in this group include Acropora, Montipora, Pocillopora, Stylophora, and Seriatopora. Orphek cares about your corals and most importantly the correct lighting and spectrum required for fast growth and excellent color. We have put together some tips in hopes of making your selection easier and more knowledgeable. When choosing corals, base your selection on your current level of knowledge and ensure you can provide the needs required by a particular species of coral. When shopping, look for corals with full-extended polyps that appear fleshy. Avoid LPS corals with dead spots on the skeleton and/or dying retracted heads. Generally this malady can and will soon spread to other areas of the coral and kill the entire colony. If you must purchase a coral in this condition, remove the dying heads which will offer a much better chance of survival in your system. When acclimating your corals, care must be given to their handling as some corals have a very thin fleshy membrane that is easily cut or damaged. Fine coral sand is always recommended as a base for placing bottom dwelling corals such as Brain Corals, etc. Elegance Corals are also noted for cutting easily on rough or coarse sand beds. Give your coral(s) plenty of time to acclimate to water temperature and most importantly water chemistry. Drip acclimation is recommended. Avoid unwanted hitchhikers by dipping your corals in a Lugol’s solution bath before placing in your system. Place your corals in your aquarium based on the light intensity and water flow required for that species. Once again, be careful when placing LPS corals that are capable of extending sweeper tentacles. Feeding. There are a myriad of coral foods available and are continually improving in nutritional value based on the corals needs. Some corals require little or no feeding while some will require frequent feedings. It is always best to research the needs of a coral you are interested in before purchasing it. This will save you grief and money. The above is just a basic primer to help you better understand different groups of corals and their requirements and is geared more toward the novice reef keeper. Orphek has several coral related articles that can be found on our sight which will help you in becoming a very successful reef keeper. Orphek has been providing reef keepers with the ideal LED lighting systems for growing all types of corals fast and exhibiting stunning color. We strive to continually provide articles and news items related to the reef keeping hobby and science; and most of all, to help you the hobbyist succeed.